If you want to be really good at something, there is no other sure route than practice. Whether it’s golf, guitar, or good character, nothing beats persistent effort. Churchill’s quote sums this up. We might think that talent makes the difference, but in any endeavor, talent will only get you so far. Malcolm Gladwell, in his book Outliers: The Story of Success, says that it takes 10,000 hours to become a top achiever. Do you have a big dream? Be prepared to work hard and long. 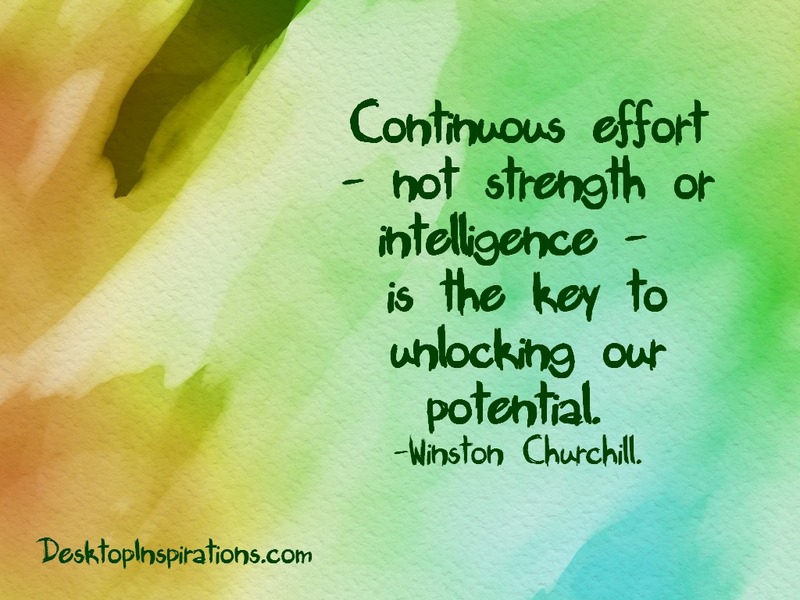 Continuous effort – not strength or intelligence – is the key to unlocking our potential. -Winston Churchill.